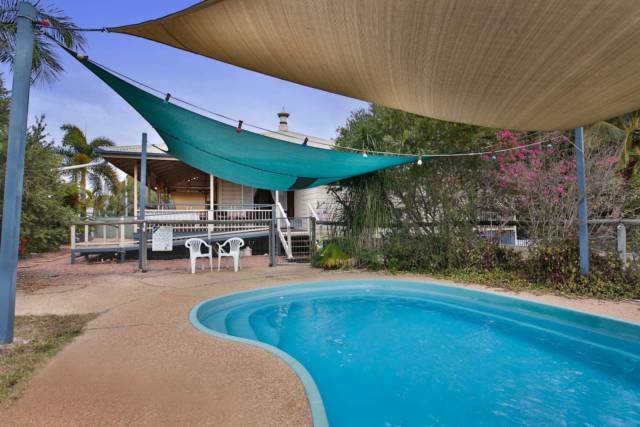 Minutes to Raby Bay Water Area! 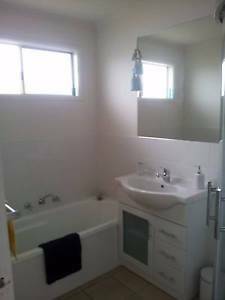 ","New 3 bedroom townhouse plus study with balcony & courtyard! 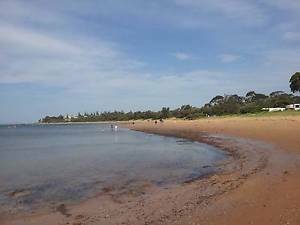 "," ","Situated in leafy "Ormiston Area" walking distance to "Raby Bay Harbour", Cleveland Shops, Train, Buses and more! "," ","Single male requires individual to share full furnished property with all new stuff! 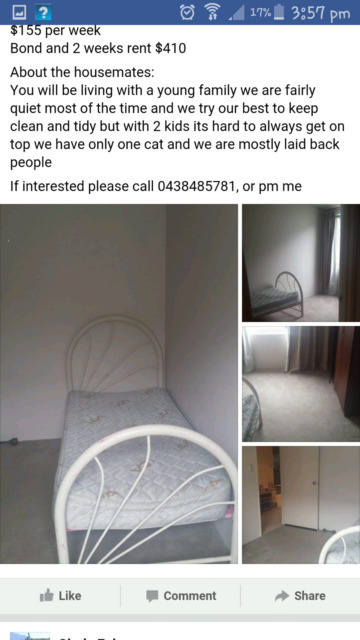 Looking for person that is neat, tidy and responsible! BAYSIDE'S BEST BUDGET ACCOMMODATION - Alexandra Hills, Redlands. FREE INTERNET, FREE ELECTRICITY, FREE WATER. ","Just ONE low payment per week! ","Perfectly situated in Alex Hills. 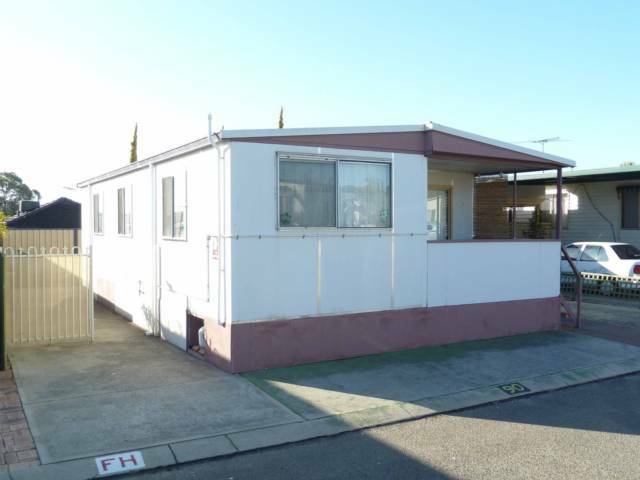 this large house is only meters from public transport. ","It has off street rear parking, and as it says above, it includes internet as well. ","Minutes to the train station and water taxi to the Bay Islands. ","There is an indoor rock climbing wall, and fitness pole as well. 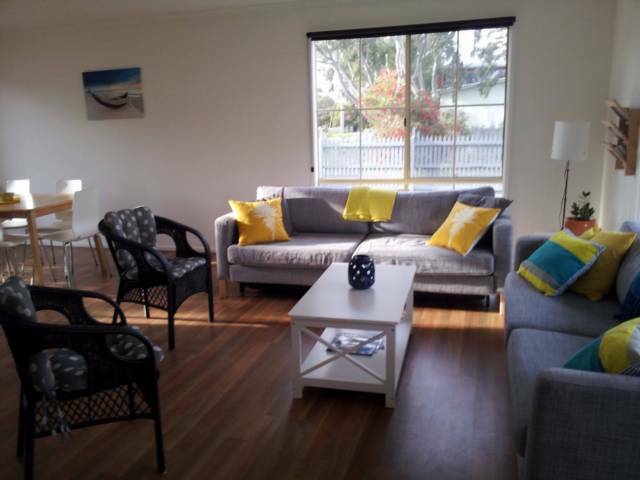 ","Fully furnished House (we can even provide a bed)! ","Comes with all cooking gear as well. ","Sharing with only 2 other tennants (One who is there only 2 days per week). ","The other is always working (You will have the place to yourself. )","And it;s a BIG house! With Multiple living areas. ","No smoking, or drugs & unfortunately no couples. ","Great environment and everyone who has stayed has never wanted to leave. ","No bond, but 2 weeks in advance is required. ","Don't share with a family, when you can come and live here! 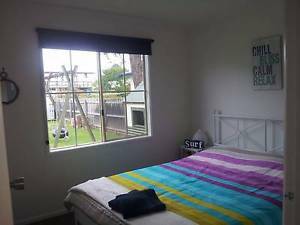 Looking for a student furnished room TV quite street tropical garden. 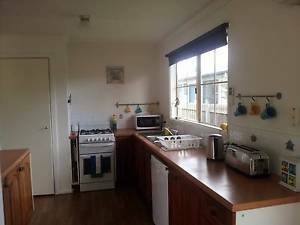 Walking distance to Alexandra hills TAFE shops and transport.$ 170.